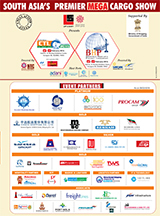 The 8th edition of Exim India’s international expo and conference on Cargo, Transport and Logistics at the World Trade Centre, Mumbai on November 28, 29 and 30, that saw the presence of the Chairmen of some leading Major Ports, top policymakers, Customs officials, head-honchos and stalwarts from the maritime, cargo and logistics industry and a large number of delegates from the sector opened with great gusto. The event commenced with an enthusiastic introductory speech by Mr M. P. Pinto, IAS, Former Secretary, MoS & Conference Chairman, who appreciated CTL 2013’s format of combining a thought-provoking and intellectually stimulating conference with a wide-ranging exposition and ended on a rousing note in the valedictory session with the Joint DGS, Mr Deepak Shetty’s cerebral address. In between, the event saw participations of some of the leading lights of the industry in the five topical sessions on pertinent issues that has curbed the growth of the sector, a spirited interactive session by the proactive Mr C. S. Prasad, IRS, Chief Commissioner of Customs, Mumbai Zone II (JN Custom House), with the trade members at the Fieo forum and a wide-ranging, well laid out exhibition that saw many top firms display their products and services. The three prominent Major Port Chairmen, viz. Mr Rajeev Gupta, IRSME, Chairman of Mumbai Port Trust, Dr. P. D. Vaghela, IAS, Chairman of Kandla Port Trust (chief guest of CTL 2013 conference) and Dr. P. Tamilvanan, Chairman of New Mangalore Port Trust, set the thematic tone for the rest of the conference by raising some valid points on how Major Ports can be successful despite the odds in the inaugural session of the event and emphasising on getting things done in a transparent and expeditious manner despite the hindrances. 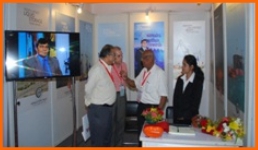 Mr S. S. Mishra, IRSME, Chairman of Paradip Port Trust, was also part of the invigorating event. He suggested ports to adopt aggressive marketing strategies and focus on infrastructure augmentation. 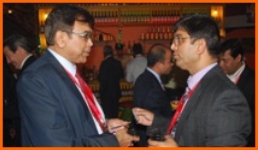 Mr Rajeev Gupta, IRSME, Chairman, Mumbai Port Trust and Dr. Subrata K. Behera, Sr. Research Analyst, Drewry Maritime Services Pvt. Ltd.
Another highlight of the two-day conference was the release of a knowledge paper by Dr. Subrata Behera, Senior Research Analyst, Drewry Maritime Services Pvt. Ltd. (the Knowledge Partner of the event). Quick decision making, innovative thinking, transparency in operation, a well laid down marketing plan and infrastructure augmentation were some of the suggestions offered by the top-notch panelists, speakers and delegates on the topics covered in the technical sessions, viz., changing dynamics of port development, seamless connectivity and logistics infrastructure, hazardous cargo movement, coastal shipping and stakeholder expectations. 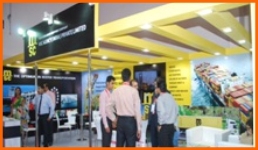 The three-day expo was inaugurated by Mr Rajeev Gupta, IRSME, Chairman, Mumbai Port Trust. 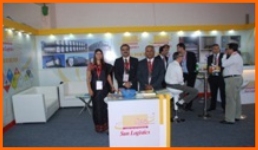 With huge number of footfalls, the expo was a great success. 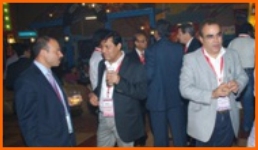 Networking and discussions on prospective business associations was the order of the day at the trade fair. 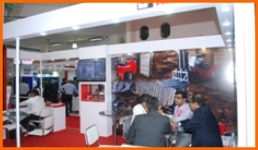 A noteworthy number of exhibitors pertaining to the industry such as port/terminal operators, shipping lines/agents, NVOCCs/MTOs, national & international freight forwarders, CFS/ICD operators, port/cargo equipment suppliers, insurance companies, equipment manufacturers, railways and rail operators, to name a few were part of the reputed expo. 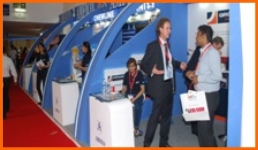 Companies participating in the exhibition interacted with visitors, which included importers, exporters, ex-im consultants, freight brokers, etc., and provided them with insights about their offerings. 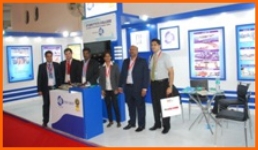 They were delighted to be a part of one of the leading exposition in the sector that enabled them to connect with members of the industry. The conference was also honoured with the presence and views of Mr A. K. Rakesh, IAS, Vice-Chairman and CEO of Gujarat Maritime Board (GMB). The event ended on a gratifying note with all the participants, i.e. panelists, speakers, delegates, exhibitors & visitors taking back a wealth of information. First Technical Session was on ‘Changing Dynamics of Port Development’, which saw eminent experts, deliberate on the need for revamp of port sector policy, requirement for increased port capacity, SEZ, TAMP, use of technology and upgradation of existing equipments. 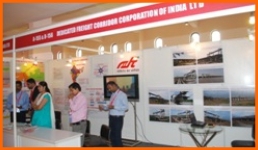 In the Second Technical Session, on ‘Seamless Connectivity & Logistics Infrastructure - Issues & Expectations of Stakeholders’, the experts dwelt on several critical factors pertaining to the much-awaited Dedicated Freight Corridor (DFC), impediments faced by ICD & CFS operators and expectations of private rail operators from Indian Railways. Mr Dhruv Kotak, Director, J. M. Baxi & Co., Mr H. D. Gujrati, IRTS, Director - Operations & Business Development, Dedicated Freight Corridor Corporation of India Ltd, (DFCCIL), Dr. L. R. Thapar, MD – Rail Operations, Hind Terminals Pvt. Ltd., Capt. 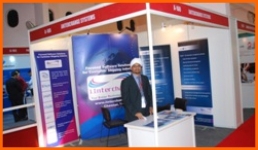 Deepak Tewari, CEO, MSC Agency (I) Pvt. 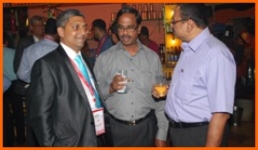 Ltd., and Mr V. S. Hari, COO of All India CFSs/ ICDs/ ED, Ennore Cargo Container Terminal Pvt. Ltd.
‘Growing Importance of Hazardous Materials to/from India’, was the topic of discussion of the Third Technical Session. The specialist panel members highlighted the importance of appropriate packaging of hazardous cargoes with appropriate labels, package markings and placards, training employees and the need for a well-designed route for movement of such perilous materials. A proper legislation for Customs clearance of dangerous materials and need for being sensitised were also suggested by the panelists. 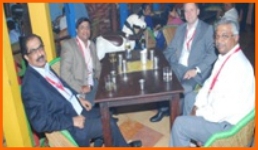 Mr Menno Douwes Dekker, MD – Middle East & India, Hoyer Global Transport FZE, Mr Haresh Lalwani, MD, Sun Logistics, Mr Jayyannt Lapsiaa, President, All India Liquid Bulk Importers & Exporters Association, Capt. 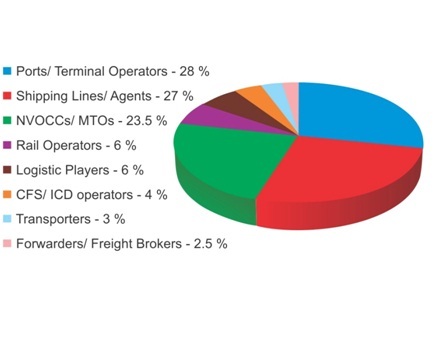 Mrityunjay Dhawal, Head - Operations, APM Terminals Mumbai, and Capt. 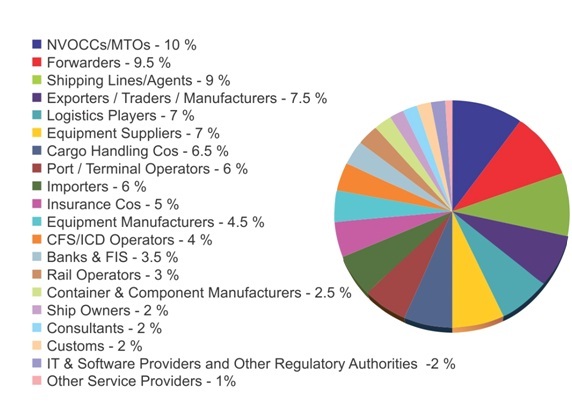 Rakesh Kumar, GM- Central Shipping & Logistics, Reliance Industries Ltd. 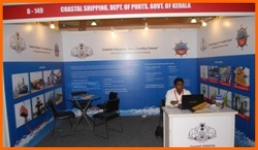 The Fourth Technical Session focused on ‘Current Scenario in Coastal Shipping’, which, according to the sectoral experts, is gradually picking up. They threw light on the challenges and impediments in coastal shipping, especially with regard to competition by rail and road carriers, lack of awareness and lower service tax exemption. 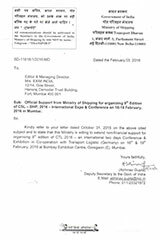 They suggested relaxation of cabotage and special gate for shipping cargoes. Mr Rahul Modi, MD, Pushpak Logistics Pvt. Ltd. The topic for the Fifth Technical Session was ‘Expectations of all Stakeholders’. The expert panelists elaborated on the need for improved ports facilities, policy changes, advantages and disadvantages of TAMP and repositioning costs of vessels. They stressed on decreasing the logistics costs, encouraging inter-port competition and urged states to work together to promote the concept of multimodalism. 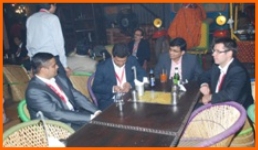 Mr G. Kannan, Head – Logistics, Larsen & Toubro Ltd., Mr B. K. Mansukhani, MD, Rishi Shipping, Mr Nailesh Gandhi, Executive Committee Member, AMTOI & Immediate Past President, BCHAA, and Capt. Sriram Ravichander, CEO & Director, Visakha Container Terminal Pvt. Ltd. In the ‘Valedictory Session’, Mr Deepak Shetty exhorted that the fraternity should use the modern tools of technology and strategic analysis to succeed in their business. He emphasised on the need for well-trained professionals in management. Mr A. K. Rakesh, IAS, Vice-Chairman and CEO of Gujarat Maritime Board, also expressed his views and support to promote the sector, while in his concluding remarks, Mr M. P. Pinto pointed out that a Ministry of Logistics was an idea whose time had come. Mr C. S. Prasad, IRS, Chief Commissioner of Customs, Mumbai Zone II (JN Custom House), was the Chief Guest at the popular Fieo Open Forum. Dr. Kavita Gupta, IAS, Additional Director-General of Foreign Trade, was also present to address the queries put forward by the representatives. They were extremely forthcoming, accommodative and forthright in answering the several queries pertaining to export-import regulations and procedures. The proactive Commissioner went out of his way to resolve some of the specific issues immediately. He reiterated that Customs was trying to maintain a fine balance between enforcement and facilitation and highlighted some of the steps taken towards the latter. One of the highlights of the exhibition was the lucky draw for visitors, which had some fabulous prizes such as Samsung phone, Sony camera, Samsung tab and, to top it all, the bumper prize - an Apple IPad. The networking cocktail dinner in the setting of ‘The Village’ (at WTC) was appreciated by all and allowed for informal discussions on business and other subjects over sumptuous food and drinks. On the whole, CTL 2013 facilitated a thought-provoking two days of deliberations, learning about the best of products and services, and networking opportunities to advance one’s business. 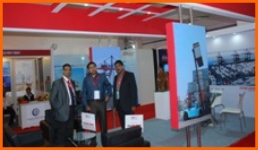 Products & Services at Display in Exhibition Area – Few Snapshots at a glance! Trade Reviews for past CTL! Mr. Girish Belwal, AGM Logistics, ISGEC Heavy Engineering Ltd. The quality of the speakers and audience was high and fervent. 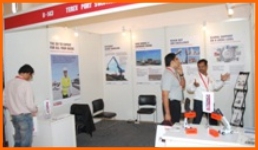 The feature of stalls and layout plan at Exhibition was par excellence. 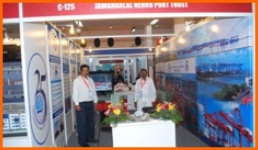 CTL 2013 conference is giving good platform for policy formation in port & shipping. 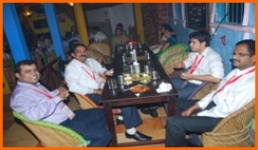 It was a well organised event, every time to set higher standards to be exceeded the next time. I must congratulate you and your team for the excellent performance and a great show. That the event was a rollicking success, is testified by the huge turnout and host of dignitaries presence. Mr. Imura Mitsutaka, Representative in India (Mumbai), NYK Bulk & Projects Carriers Ltd.
Congratulations on the big success for the CTL 2013. Capt. 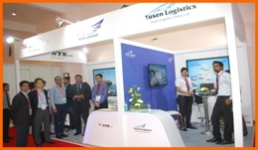 Rakesh Kumar, GM – Central Shipping & Logistics, Reliance Industries Ltd. It was indeed nice to be part of the event. CTL 2013 conference programme was executed brilliantly and the choice of Panelists was apt. 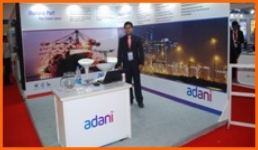 The theme couldn't be any better and took the pulse of the current shipping / transport and logistics scenario head on, the stall display at the exhibition was eye catching. 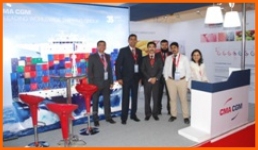 Mr. Haresh Makwana, General Manager, Vini Container Lines Pvt. Ltd.
We would like to give you three cheers for organising such beautifully CTL, hats off. 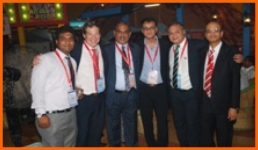 Mr. Nikhil Mondkar, Area General Manager – Maharashtra & Central India, CMA CGM Agencies India Pvt. Ltd.
Capt. 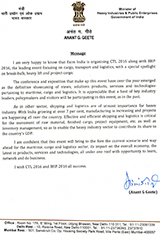 Pankaj Kumar, Country Head, Plimsoll Shipping & Logistics Pvt. 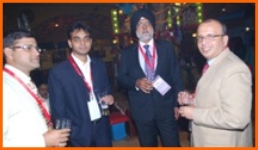 Ltd.
Mr. Sumeet Nadkar, CEO & MD, Kale Logistics Solutions Pvt. Ltd. Please accept my hearty congratulations on yet another most successful and impactful edition of CTL. It was a great experience at CTL this year and looking forward to many more such outings in future. Mr. Sankaranarayanan, Neptune Container Line And Logistics Pvt. 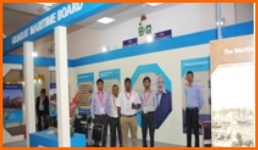 Ltd.
Congratulations for having arranged the CTL 2013 exhibition in an excellent manner. Stalls have been put up very well, and I saw good no. of visitors. 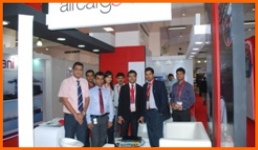 Mr. Vivek Kele, Director, Teamglobal Logistics Pvt. 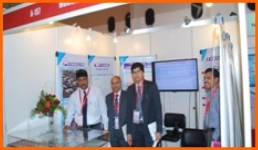 Ltd.
Its great to be associated with nice industry event like CTL 2013. Mr. Robin Sebastian, Sr. Manager - Business Development (Branch In-charge), Glovis India Pvt. Ltd.
CTL 2013 was a very good experience.